The 2018 real estate market has been forecasted to be a seller’s market. 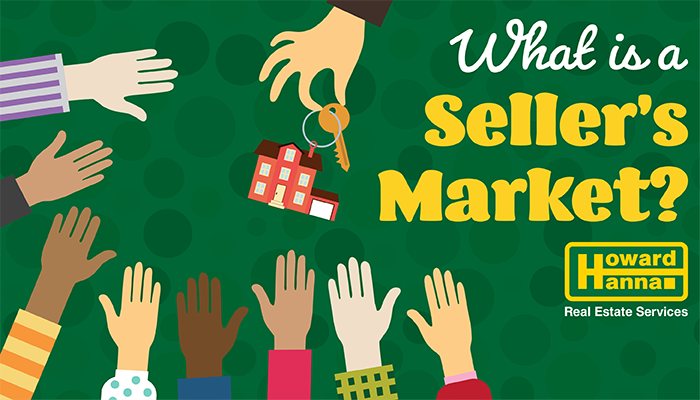 What does a “seller’s market” mean, exactly? In short, a seller’s market is when the demand for homes exceeds the current supply, giving the seller the upper hand. With homes in low supply, a seller could expect multiple people interested in a property and a possible bidding war. Properties can sell in a matter of days or even hours after hitting the market. A seller’s market can come about in numerous ways, such as a drop in interest rates, allowing more people to qualify for purchasing properties, or increased employment opportunities bringing more people into the market. Sellers can take advantage of the market by working with an experienced and knowledgeable real estate agent. The agent can properly price your home and help you sift through offers to find the ones to follow up on. Don’t always jump on the first offer you receive, however. You might receive a better one. If you’re thinking of listing your home, there’s no better time than during a seller’s market. Receive a free home estimate at howardhanna.com/whatsitworth and get started on listing your home!